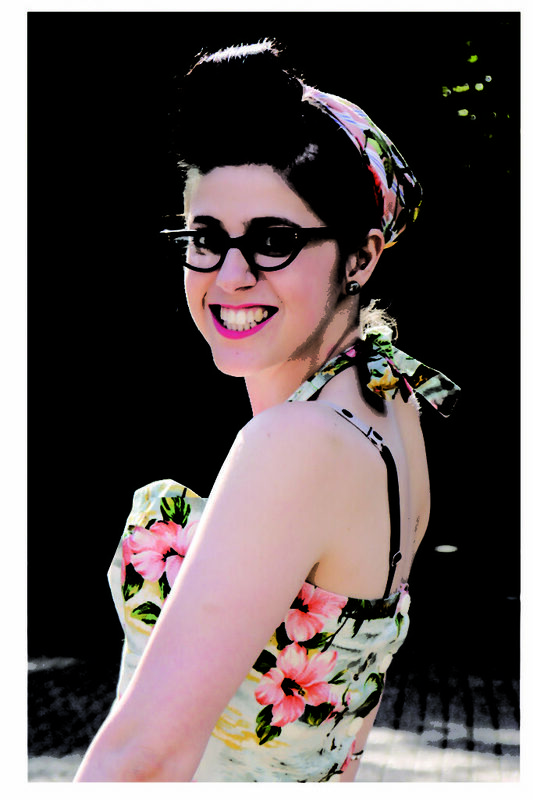 I have died and gone to Vintage Glasses Heaven. Which, by the way, happens to be based in a little town in Scotland called Dundee. And it’s name? SPEX PISTOLS. I know, I know, it’s too good to be true! 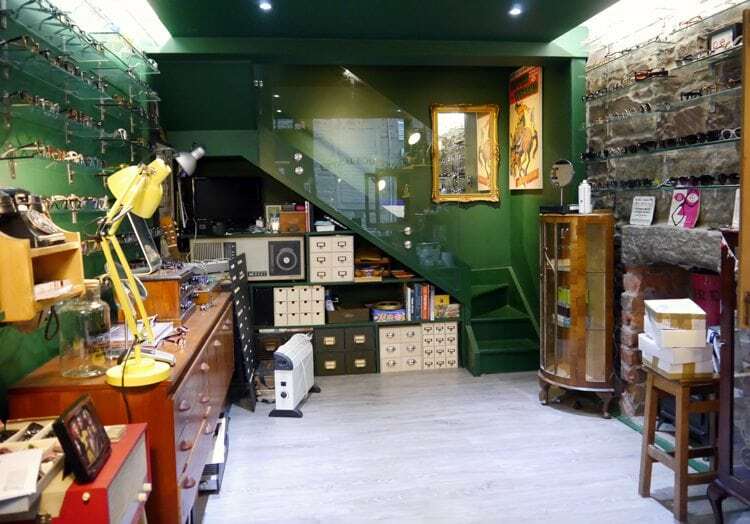 This beautiful little shop is stacked to the rafters with everything a specky-four-eye’d gal could dream of. 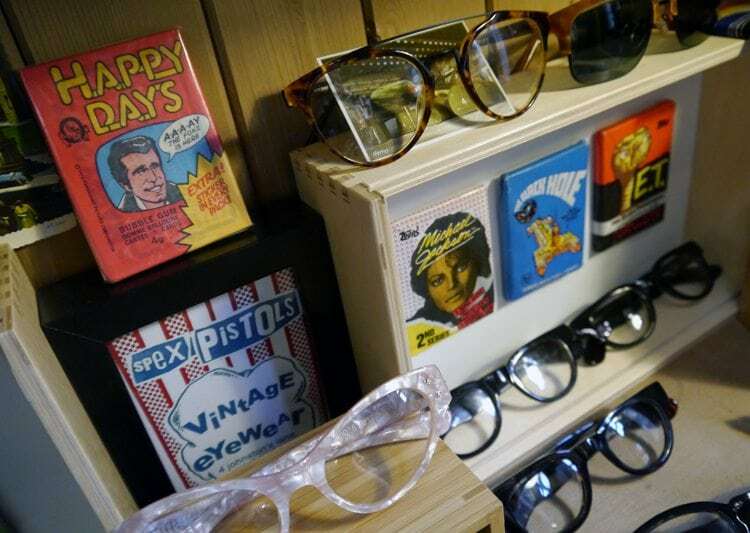 Vintage wing tips, retro Raybans, old school aviators, and all kinds of spectacular frames old and new in every shape and colour you can imagine. 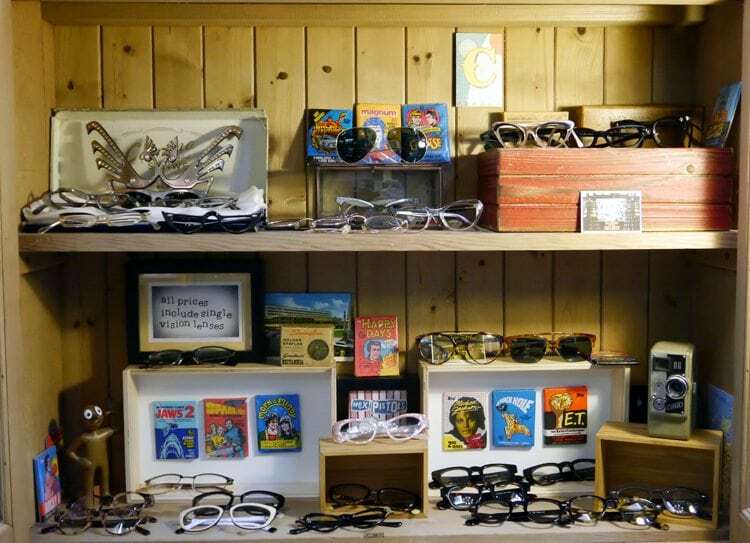 You don’t have to be practically blind like me to enjoy a shop like this, weather you need help with your vision or not, you’re going to fall in love the minute you walk through the door. I like to think of myself as a glasses connoisseur; I have worn them for nearly twenty years and have been obsessed with them ever since I first got news I no longer had 20/20 vision. Who knew bad news could be so much fun?! At the moment I have a bigger collection of vintage glasses than I could have ever imagined, and I am obsessed with growing it at every opportunity. Finding frames is now beyond a hobby, it’s a full blown love affair. For any of you who share this interest, I’m sure you’ll share my frustrations over the struggles of finding the right style for you in good, wearable condition at *most importantly* a price you can actually afford. That pretty much only occurs once in a blue moon… or so I thought. Having searched high and low, and traveling lands far and wide, I’m pleased to share my search has now ended in the discovery of the perfect one-stop-shop. . . and I might have let out a girlish squeal to celebrate! Richard has got to be the greatest collector I’ve ever come across. I’ve met a few frame hoarders in my time, but, at the risk of sounding super gushy, no one has ever impressed me as much as him. 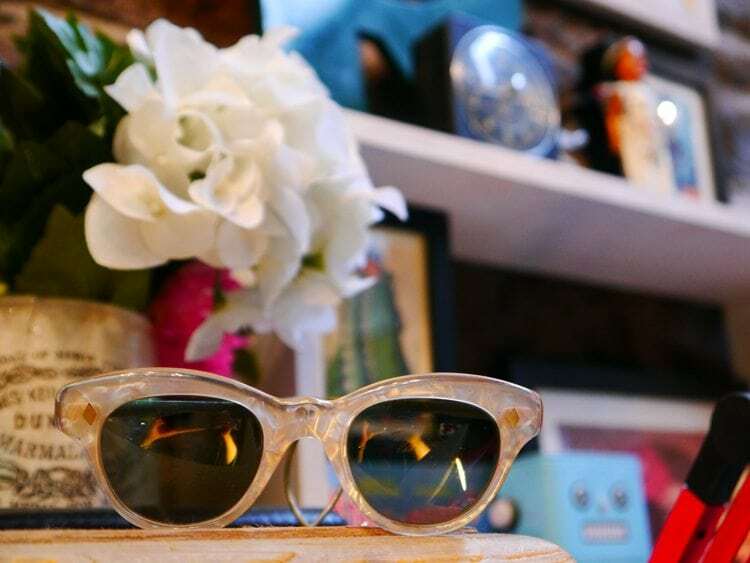 Having worked in the industry for many years, he’s got a great eye for trends and a superior knowledge on reframing and remodelling old glasses than anyone I’ve ever met. 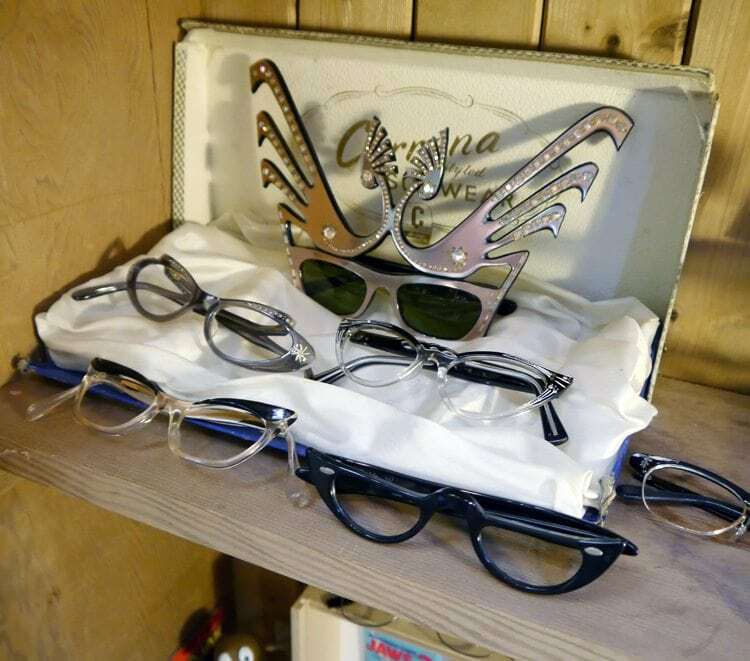 Not only does he source the frames himself, but he also makes up all the glasses in the small lab he has upstairs in the shop. That means on a good day you can actually get your glasses made up and ready to wear on the spot, which is super amazing considering it usually takes a good two weeks for turn around in high street opticians! 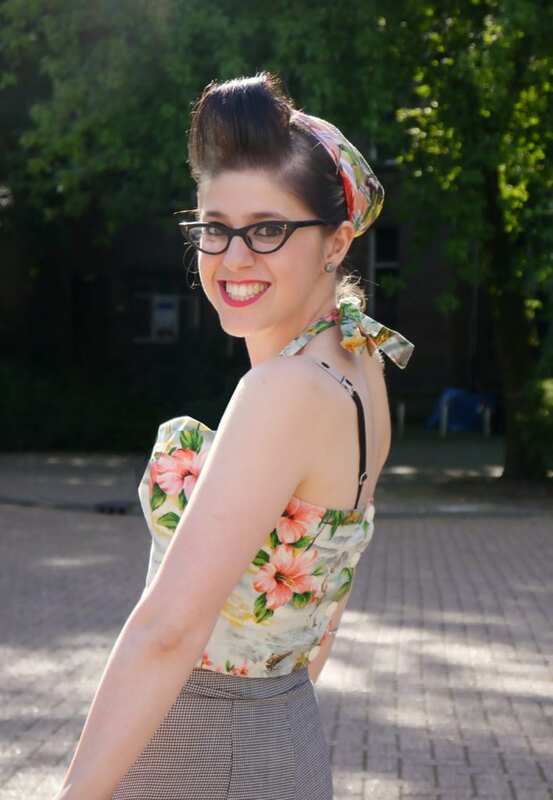 I get asked where I get my vintage glasses lensed quite a lot, because more often I’m hearing tales of people taking their frames to big commercial companies only to be turned down because it’s seen as ‘too much of a risk’. Whilst it is true, trying to lens 50 year old frames is a lot trickier than lensing new frames, but it doesn’t mean that it’s not possible… It just means that there’s a little bit more work involved and they’re too frightened they’ll fudge the job. 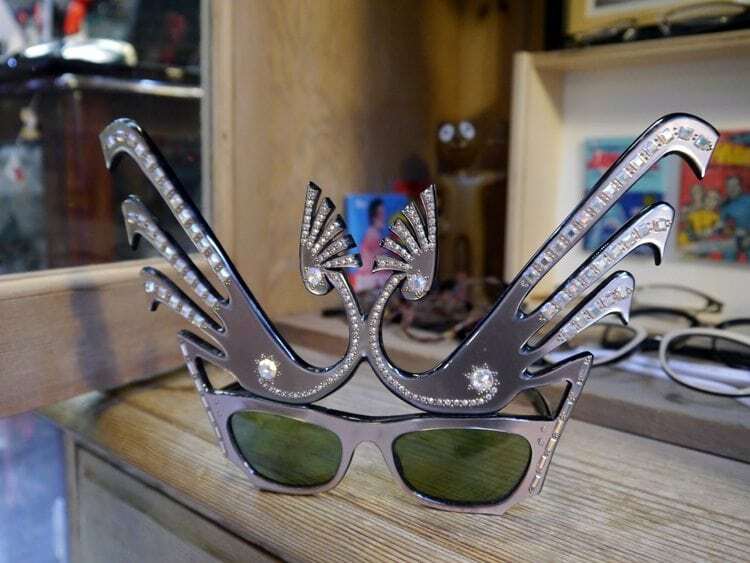 I’ve managed to get some re-lensed at Specsavers before, but highstreet stores aren’t very knowledgeable in old frames and don’t really know how much leeway they can get away with when working with the plastic, which concerned me a lot. On top of that, they tend to be super expensive, which is no fun whatsoever if you’re the one taking the risk. 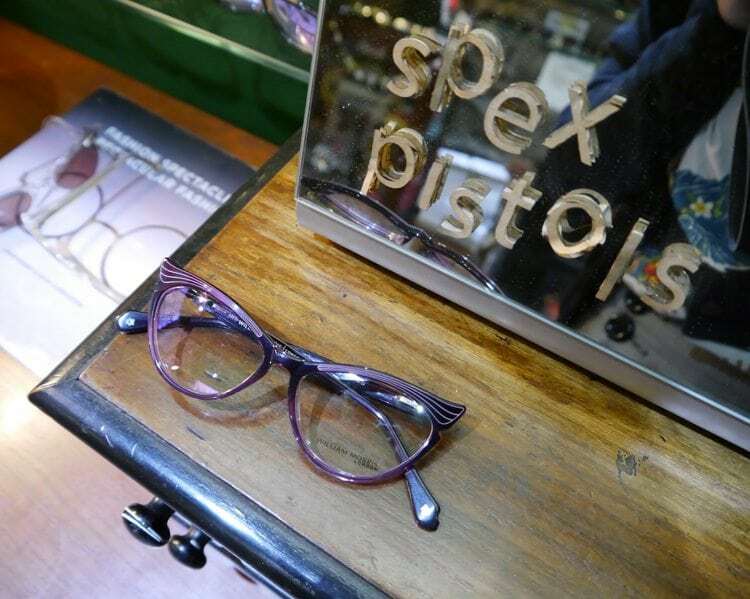 As soon as I found out about Spex Pistols I sent them an email with a picture of my old frames and a copy of my prescription to see if they would be able to help me. Being a specialist in the field, I was not left disappointed! 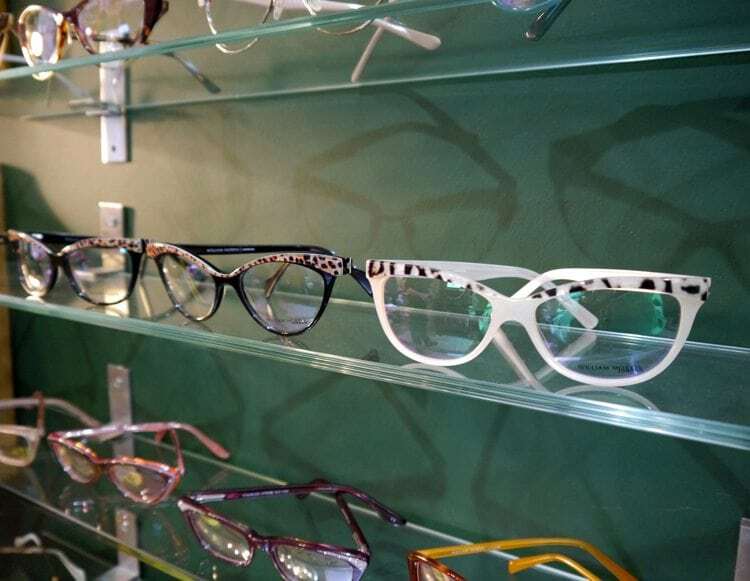 So, if you’re looking to get some old glasses lensed, I highly recommend dropping Richard at Spex Pistols an email with a few photos of the frames, any notes on how / where they are damaged if they need any extra TLC and include a scan of your eye prescription. He’ll be able to tell you if he can fix you up and how much it will cost before they’ve even left your house! Also, if you’re happy to go ahead, you don’t need to road trip all the way to Dundee, he’s quite happy to send and receive them via post, which is super awesome for lazy people like me. Let it be known I was not sponsored to do this post, I just really love praising companies that give killer service to their customers! See you soon specky friends! Can you please let me know when my glasses will be ready as I have to travel south for a funeral possibly Thursday this week. Thanking you Margo Jamieson.